Are there any professional fridge-understanders out there with 2-3 yrs experience who can help this dude? 4 Responses to Are there any professional fridge-understanders out there with 2-3 yrs experience who can help this dude? Oh Bill Y, this poor guy was left out in the cold and doesn’t even know it. I guess not the freshest fruit in the crisper? The sign was there for all to see! He opened the door—but he doesn’t see the light. 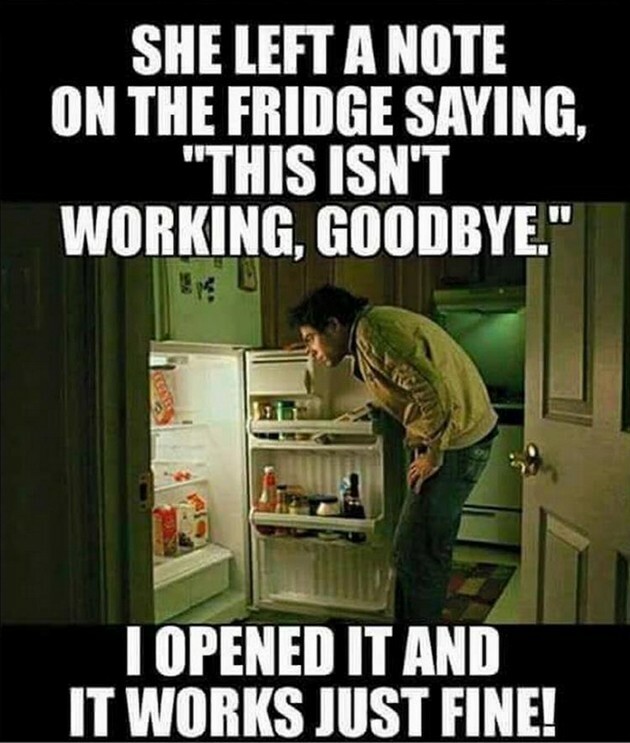 This is why we have professional fridge understanders.